If you currently own a business in the Orlando or Central Florida area and you’re asking yourself, how can I sell my business in Orlando. We can help! Business Brokers at Crowne Atlantic Properties service the entire Central Florida area helping business owners sell their businesses every day. After selling hundreds and hundreds of businesses in the Central Florida area our firm has noticed buyer patterns over the years and while every business is different, most business buyers follow the same patterns when they look at buying a business in Orlando and Florida in general. Business buyers want to feel as comfortable as possible when they are looking at businesses to purchase. The more honest and complete the financial records are, the more honest and complete the business looks. The financials are similar to a student’s report card or an automobile’s diagnostic test. Bad financials does not equal a bad business, however if you think “what will help me sell my business in Orlando” good financials will help. This means that if you take cash jobs and do not report them on your financials…….. you will need to start doing that if you want buyers to believe how well your business performs. Buyers will not want take your word for it even if the purchase price is lowered. It will also help if you keep track of all of your expenses in addition to your sales. This tells the working story of the business so that you the owner do not have to. Good books and records for a period of years prior to the sale of your business will help you sell your business quicker and for more money in the Greater Orlando area. This means you will want to have several years of tax records available, balance sheets, profit and loss statements and bank statements to back up these records. Another key item buyers look at when buying a business in Orlando is the lease of the business premises for sale or the real estate that comes along with the business. How long is the lease? What are the restrictions? Is there a chance the landlord wants to sell or demolish the building the business is housed in and is the business protected if that happens? What about the real estate? Is the current value of the real estate worth way more than what the current business can support? Can a buyer get financing for the real estate? Does the real estate have any environmental issues that could prevent a sale or a buyer from getting financing? If you’re thinking, “What else can help me sell my business in Orlando,” find out the issues surrounding your lease or real estate prior to marketing your business for sale. 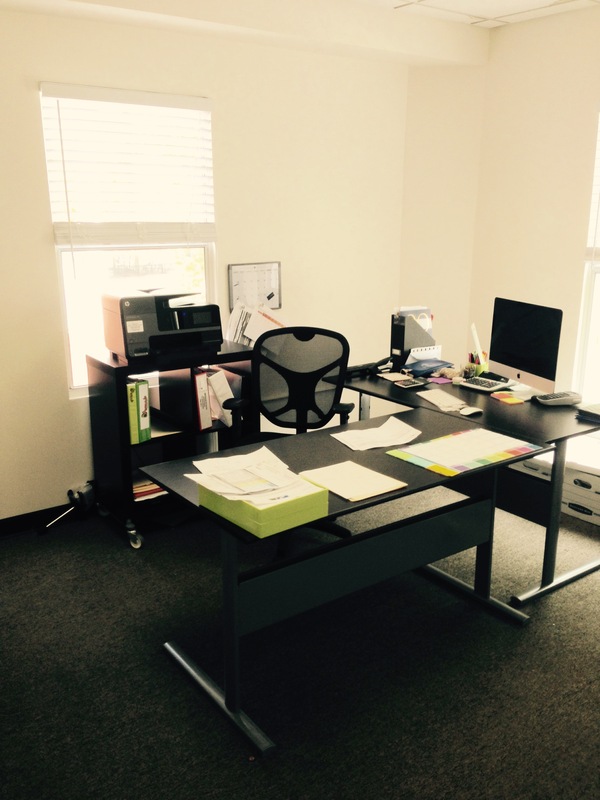 It is always best to have a clean business working area and updated equipment when selling a business in Orlando. While business is business and some buyers claim financials are everything, there is more to a business than just having profitable financials. Buyers pay close attention to the condition of the business premises they are about to take over. 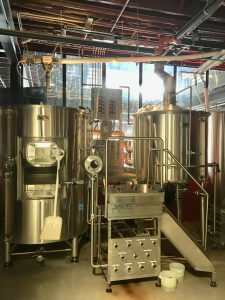 This is especially the case where the business has premises or equipment that is regularly visited and seen by customers such as restaurants, bars, schools, rental facilities, manufacturing facilities, distribution facilities, and recreation businesses. If you want to do what you can to sell your business, make sure the equipment used in your business is updated. Make sure your equipment and your business premises are clean. When you think, “sell my business” think “sell my house.” If you were selling your house you would probably vacuum all the rooms, paint the walls, redo the floors and possibly upgrade some appliances and equipment. The same principle goes for businesses. Make sure your business looks its best. Make your business look like a business a buyer would want to buy. This one is surprisingly overlooked often by potential business sellers. Often times business owners looking to sell are often selling due to lost interest or energy and sales are starting to suffer. While business buyers are open to taking over businesses that are showing declining sales and profits it is not the most ideal position for a business seller to be in. If you think, what more advantages will help me sell my business in Orlando…….. make sure to have a business that is showing viability and future potential. Business buyers want more than a business seller who claims they can earn more money by working harder. Ideally, Orlando Business buyers want a business that already is working harder and they want that hard work to be reflected in stable or increasing sales, profits and opportunities. If you would like more information on selling your business in the Orlando or Central Florida area please call the Business Brokers at Crowne Atlantic Properties at 407-478-4101 or check out our website at www.crowneatlantic.com. When you are looking to sell your business in the Central Florida and Orlando area the most important thing is make your business look the way you would want to see it if you were the business buyer. So if you would want to see a clean workspace with a lot of activity and you would want to financials accurately documented on the corporate tax records……… this is likely what potential business buyers will want to see when they look at your business. This is the most important piece of advice that we give to business owners looking to sell a business in the Orlando area. We recommend business owners imagine themselves as potential business buyer. Ask yourself, if you were a buyer and knew little about a seller’s business or even if you knew a lot about the seller’s business, what would you want to see? What would your expectations be? At Crowne Atlantic, our business brokers in Central Florida work with potential business sellers to go over the items that are most important to business buyers. All too often we encounter business owners that have issues in their business that could be considered big drawbacks or turnoffs by buyers. Some of these turnoffs may include, the business not documenting all of the sales and profits and tax records and taking cash. Other buyer turnoffs might include a non-secure lease where a business owner just rents month to month and might have to relocate. These are just some examples of situations that can concern Buyers when they are looking at a business. Buyers want to see a stable operation with a stable location when they take over a business. We find sellers that say things like, “if you find a person who knows the business they’ll understand.” The reality is however that business buyers do hold business sellers up to a higher standard the same way any buyer would when they make a purchase. For example, if a person is looking to purchase a home they would prefer the home they see to be neat, tidy, painted, and in working order. If not, these issues will surely be reflected in the buyer’s offer. The same goes for when a Business Buyer looks at a business. If everything is in order with books and records and the premises are at least moderately organized, depending on the business, it will make for an easier business sale and will likely sell for a higher price. Sellers should position their business in such a way that they would find it attractive if they were a buyer and were not familiar with the business. When business owners in Orlando want to sell their business, it is always good for them to remember that potential Business Buyers are no different than their current customers. Often times business owners forget this because they can find themselves in a deal making mode. Treating potential business buyers as a typical customer of the business can put things in a different light for many business sellers. Just like any of the customers a business sells to, business sellers will want their business to reflect how great their product or service is. Items that might seem trivial, like clean business workspace, do in fact matter. Clean books and records matter. A defined system where a business buyer can easily see themselves running a business does matter to business buyers in the Orlando area. Ultimately sellers want to create the business environment they would want to see if they were looking to buy a business. The more they can create this environment the more buyers will be attracted to their business and the more money they will be willing to offer. For more tips on selling a business in the Central Florida or Greater Orlando area check out our website at When you’re selling a business in Central Florida or phone the Central Florida Business Brokers at Crowne Atlantic. 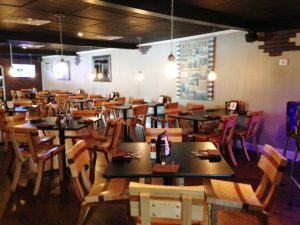 Selling a franchised restaurant in Orlando brings out a lot of interest among both restaurant and main street business buyers, but a seller of a resale franchise still has to find and pick the best buyer. Below are a list are our top 10 tips to selling a franchised restaurant in Orlando. 1) Franchised restaurants for sale in Orlando can command a higher price than most independent restaurants selling in Central Florida. This is because franchised restaurants have a wider appeal due to brand recognition. These restaurants for sale in Orlando have to potential to attract both experienced and inexperienced restaurant buyers in Orlando. Orlando is a great place to have and own a restaurant franchise. 2) Restaurant buyers look for the same things they look for when they purchase independent restaurants. Just because a restaurant is a franchise does not mean it gets a free pass on everything. Restaurant buyers in Orlando still want to purchase a profitable restaurant showing financials on the books. They also want to buy franchised restaurants with favorable leases that are manageable and secure for a new owner. 3. Determine whether or not your restaurant franchise for sale will qualify for an Foreign Investor’s VISA. If you are selling your restaurant with an Orlando Business Broker, they should be able to determine whether or not it will work for a foreign investors visa. Businesses that qualify typically have good books and records and most U.S. Immigration offices around the world like seeing that new immigrants will be part of a franchise that has a business plan and operation all laid out for them. Both U.S. Immigration and foreign buyers seeking visas see franchised restaurant purchases as having less risk and therefore these business opportunities are more attractive to both parties. Bank Financing with SBA or Commercial Lending is Always More Attractive for Business Buyers. 4. Determine whether or not your franchise restaurant for sale in Orlando qualifies for bank financing with an SBA loan or other commercial financing. For SBA financing to work the business will need to have good books and records. In many cases banks have lists of preferred franchises and restaurant franchises that they prefer to finance. While dealing with an SBA business buyer might take more time, usually the business seller is rewarded with a higher price and more cash at closing. 5. Be aware of specific criteria that your franchise will require from potential buyers. For example, we were looking to show a restaurant franchise for sale to one of our buyers and the business broker said that even though the restaurant is selling for a price $499k and would qualify for an SBA Loan, the franchise would require any incoming franchisee show they have $500k in liquid cash with no leveraging. Facts like this are important to know! Restaurant and Food-based franchises for sale are always popular in Central Florida. 6. Be aware of any franchise transfer fees. We cannot even begin to say how many times we have worked on selling franchised restaurants where the franchisee believes they know what amount the transfer fee is only to find out they are incorrect and we are already several weeks into a transaction. Find out what the franchise transfer fee is early on and before you start marketing the business for sale to buyers decide whether or not the buyer or seller will pay those transfer fees. If a buyer has to come up with an additional $5,000 to $10,000 over what they though the actual transfer fee was, it might cause issues if the deal is already in play. 7. Make sure your franchised restaurant for sale has all internal updates and modifications that meet the current franchise standards. 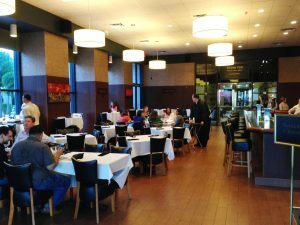 Some restaurant franchisees want to sell their restaurants in Orlando because they’ve had the restaurant for a long time. However some have had their restaurants for so long that they have held back on making all of the franchise updates or with keeping the restaurant premises in good condition. There is a strong chance that the franchise will require these updates prior to a sale to a new owner/ franchisee. So business sellers looking to pass the buck of new update costs onto a new franchisee might be surprised when they find out the franchise may force the seller to make these updates prior to approving and allowing the sale. 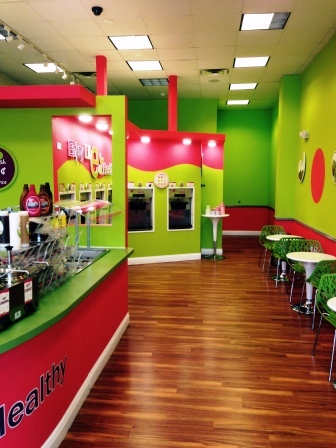 Popular Franchised Restaurants for sale are always popular in the Orlando area. 8. Make sure you are aware of the training time a restaurant franchise will require new buyers to go through. Some franchises require extensive training for weeks at a time and some require an incoming franchisee to travel to another part of the country for a week or two at a time to train. It’s an expense and time commitment that buyers need to be prepared for. 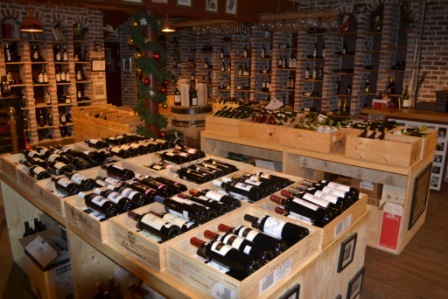 It also affects the time period needed before closing the sale of the restaurant. 9. If the franchise restaurant buyer you are working with in Orlando is looking to get a foreign investor’s visa and has no credit history in the country find out if possible ahead of time what requirements the landlord will have for this type of tenant. Business brokers in Orlando receive a lot of inquiries from foreign buyers looking to purchase businesses. It is very common for landlords to ask foreign business buyers for a larger deposit than domestic business buyers. This is usually due to a foreign buyers lack of credit history and social security numbers. On some occasions foreign buyers have been in the country for a while and it is not an issue. However on some occasions there are landlords that will have requirements a bit on the extreme side. This additional deposit money can be enough money to affect the success of the deal if the buyer does not have the funds to cover the extra deposit. If possible, ask the landlord about this issue when you first enter into a deal with the buyer. 10. Make sure the remaining lease offered by the landlord is satisfactory for the buyer early in the deal. Most restaurant buyers, especially those buying restaurants are concerned about the length of a restaurant’s lease. They do not want to worry about fighting a landlord to keep their space two years later so it is important that they ask. Some buyers in Orlando are okay with 10 years but some want more. If a buyer gets an SBA Loan, it’s very possible that the bank will require the buyer to obtain a lease that lasts the duration of the loan. If you or someone you know is looking to buy or sell a restaurant franchise in the Orlando and Central Florida area please call us at 407-478-4101. One of the main topics discussed when business brokers in Orlando first meet with a potential business sellers are the types of buyers buyers that might be interested in buying their business. At Crowne Atlantic we typically talk about the advantages of working with an Industry Buyer verses and Outside Buyer. Industry buyers are those with experience in the industry due mostly to work experience, family or business ownership. In contrast Outside Buyers typically have very little exposure or experience in the businesses they are looking to purchase. In this article we are going to discuss the Pros and Cons working with an Industry Buyer. Crowne Atlantic Business Brokers in Orlando typically discuss these scenarios when we work with business sellers to help fine-tune the marketing approach for when seller is ready to sell their business. See below five pros and five cons to working with an industry buyer when selling your business in Orlando and Central Florida. 1) An industry buyer will better understand of the value of buying the business. When we say value, we’re not just talking about price. Value also refers to the non-monetary assets and benefits of a company. Our business brokers in Orlando recently sold a company that had constructed a database of 5,000 potential customers complete with emails, names, and the correct contact decision maker. Does that list have a direct monetary resell value? It did, but not necessarily to a buyer not familiar with the industry. Would this potential customer information list be valuable to an industry buyer? Absolutely! Restaurants in Orlando are often bought by buyers with some kind of restaurant experience. 2) The training and familiarization period could potentially be easier and shorter with an Industry Buyer verses an Outside Buyer. One can imagine that if they are selling a business to a buyer that is already in their industry that the transfer of power might be easier. When selling a healthcare business in Orlando, it might be easier to sell to a buyer that currently owns a healthcare business and is already an approved licensee under the Florida department that oversees healthcare. Millwork businesses in Florida are purchased by both outside and industry business buyers. 3) Industry buyers can often incorporate the company’s current infrastructure to excel both their company and the one they are buying. If a Millwork business purchases another Millwork business in Orlando it might increase the work capacity of both businesses allowing both the business, it’s employees, and current owner to grow. Both companies could advance and make more money. 4) An industry buyer could potentially give the seller of the business an opportunity to stay and work for a while before officially retiring. Some business sellers want to just slow things down, but not stop working entirely. There are industry buyers and even those who are outside buyers that want sellers to stay. A perfect example of these buyers are equity companies. After all, an Industry Buyer could be a person or another company buying in Orlando. Equity companies looking to expand will often times ask the business seller to stay on run things for them locally while they working growing the business on a more statewide and perhaps nationwide level. This can offer business sellers the time and the space to advance financially while having assistance and resources to run and grow their business. Banks do like to see some kind of experience when buyers are looking to purchase a business and seeking funding. 5) If the business transactions involve strict licensing to operate, bank financing, difficult landlords, or demanding customers an industry buyer might be a business seller’s best and only option. For some businesses, an Industry Buyer is the best and only choice an Orlando business seller has. While a plumbing business in Florida does not require a license to own, it does require a plumbing business to operate under a person’s plumbing contractor’s license. If a business requires a license to operate, banks might choose not to finance business buyers unless they possess that licensing. Landlords can also be difficult to deal with if a potential business buyer has no experience in the business they are buying. For example, there is a large fine-dining restaurant on the market where the landlord stated that a buyer/ new tenant will only be accepted if they have fine-dining experience. This hurdle does limit the amount of business buyers in Central Florida that will qualify. 1) In the Central Florida and Orlando area many industry buyers do not always pay as much for businesses as Outside Buyers. This can easily occur with service businesses where the bulk of the assets being sold are customer bases that could easily continue as business customers or potentially leave if they do not like the new business owner. An Industry Buyer might not value these customers as much as a business buyer who is trying to get into the industry and using their business purchase to do so. 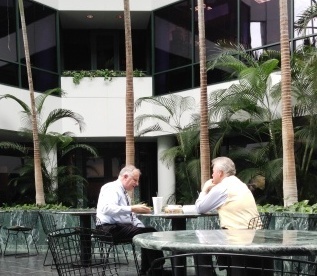 Business Brokers in Florida always keep strict confidentiality when selling businesses. 2) Keeping confidentiality with Industry Buyers might be more difficult and risky for the business seller. If a business owner is looking to sell to an Industry Business buyer in Orlando it means that they have to disclose their name and ultimately some details about their operation to potential competitors. While business buyers working with business brokers in Orlando always sign confidential Nondisclosures prior to receiving information, there can always be a slight chance of a confidentiality breach. One way to completely avoid this scenario is by having a business seller clear all of the names first prior to releasing information to them. This is a simple tactic but it works. 3) A business seller might dislike or distrust other competitors in the industry and might want a buyer from outside the industry. Selling companies in industries such as boat manufacturing has pros and cons to both industry and outside buyers. 4) Industry buyers might try to make drastic changes in a business they purchase. While outside buyers are more likely to leave everything as is, an experienced industry buyer might make a lot of changes. They might switch everything to their own processes and that could potentially frustrate employees and a business owner used to their own ways and methods creating potential headaches for everyone involved. 5) Selling to an Industry Buyer can make the potential pool of buyers much more limiting. If Orlando business brokers at Crowne Atlantic work with businesses that are extremely large and require special licensing such as a roofing businesses or an electrical companies. Selling to only to Industry Buyers does limit the pool of buyers. Not having proper licensing can affect a buyer’s ability to obtain Bank/ SBA financing. While buyers could still pay cash, there are only so many business buyers with the licenses or the capital required for certain deals. As Orlando Business Brokers servicing the Central Florida and Greater Florida area, we typically have to examine both the pros and cons of both types of buyers. We can do the same for you! If you’re looking to potentially sell your business in the Orlando or Greater Florida area give us a call and we can help you evaluate your business. Our number is 407-478-4101 or check out our website at www.crowneatlantic.com. 1) Do you think anyone would like to buy my business? 2) Do you think my Orlando business would be sellable? 3) Is there anyone in Orlando searching for businesses that are selling? 4) What do you think my business is worth if I wanted to sell my business in Orlando? 5) What are buyers looking for when they look at businesses for sale? 6) Do you have any businesses for sale in the Orlando area that we should be looking to buy? The answers to all of these questions are very simple because the reality is there is typically a person for every seat! One of things that we as Orlando Business Brokers say all the time, “if the business makes money, it is worth taking a look at it.” Many small business buyers in the Central Florida area take the same approach. Would Anyone Like to Buy Your Business? Ultimately most buyers want a good business to purchase plain and simple. There are a number of reasons why people would prefer to buy a business in Orlando instead of starting from scratch. Many business buyers flat out do not have the time, confidence, patience, money or the know-how to build a business up from scratch. If business buyers in Orlando can find a good business to purchase that is already established, this can be a better play for them in the long and short-run. Our answer to the business sellable questions are that most businesses we see are sellable for at least something. Amazingly we meet with potential business sellers all the time who do not realize their business can be sold, even though it is profitable. Bottom line, if the business is profitable and makes money, it is worth speaking to a business broker in Orlando about it. Most business brokers in Central Florida do not charge any upfront fees to speak or meet with potential business sellers and with the right information can sometimes give business owners an idea of the value of their business. If a broker does charge an upfront fee for a valuation in Central Florida, then perhaps you should meet with a business broker in Orlando who does not first. Some business brokers sell valuations for up to $40,000. Why spend the money when you can get the same information for little to no cost from a better, more qualified local Orlando Business Broker? Most business brokers in the Florida area work on a performance-based fee system with little to no upfront money. Are there business buyers in Orlando searching for Orlando-based businesses for sale? There are always buyers searching for businesses for sale on the Orlando Business For Sale Marketplace. If a deal is good and priced right, there are typically potential interested business buyers. What is my business worth if I were to sell my small business in Orlando? Valuations unfortunately are not as scientific as they can be when leasing or selling real estate. Valuing businesses always seems to be more of an art than a science. Most small businesses sell based on a factor of seller’s discretionary earnings or cash flow. Business Brokers in Florida call this cash flow number an owner’s benefit. Most small business buyers in Orlando and Central Florida are hoping a return on investment (ROI) that can justify that they are better off purchasing a business than starting from scratch. Valuations vary depending on the business, but most seasoned business brokers in Orlando can give business sellers an idea once they have some key information. What are buyers looking for when searching businesses for sale in Orlando? Most buyers want businesses with good books and records, a clear business structure that they can follow and feel they can manage and an ROI that makes financial sense to the point where buyers want to move forward with a purchase offer. Do we have businesses that current business owners want to purchase? All the time! In fact, many of our best customers are business buyers who own multiple businesses in the Orlando, Central Florida area and other areas. For more information on selling a small business in the Orlando or Central Florida area call the Orlando Business Brokers at Crowne Atlantic at 407-478-4101 or check out our website at www.crowneatlantic.com. We also sell businesses in Orange, Seminole, Osceola, Polk, Brevard, Marion, Volusia, and Lake Counties. Orlando Business Brokers Get Higher Premiums Than Others When Selling Businesses in Orlando. Did you know that Orlando Business Brokers can get higher premiums for Central Florida businesses over outside area brokers? If there’s one thing business buyers will pay an extra premium for it is location. Business brokers working in the Central Florida and Orlando area understand the concept of Orlando being a great location for business. So much so that we outperform business brokers who are located outside of the area. Just like in real estate location does matter to a degree. It’s not that buying a business for sale in Orlando isn’t all about the financial numbers. It is! At the same time if a buyer sees two different manufacturing facilities with similar financial numbers, they will probably opt for the manufacturing business is for sale in the Orlando area if the other one is located elsewhere. The buyer might even pay a premium. Why? What makes Orlando so special? What is it that the outsider business brokers do not understand? The majority of Orlando Business Brokers at Crowne Atlantic are native to the Orlando and Central Florida area and we understand what the brokerages that operate nationally and out-of-town and out-of-state do not. They do not see the appeal to the area in addition to all of the advantages. As local Central Florida business brokers and business owners ourselves we interact with other business owners in the Greater Orlando community. We interact with all sorts of business buyers for all kinds of businesses for sale on the Orlando Business For Sale Marketplace. That gives us an advantage over outsider business broker agents because often times business buyers are focused more on a business opportunity with the right numbers in a great location over a business opportunity in a specific industry. This gives the Orlando Business Brokers at Crowne Atlantic a huge strategic advantage because business buyers searching for businesses in the Orlando area will phone us on multiple business opportunities spanning different industries. After all, these business buyers want to ultimately live and have access in the Greater Orlando and Central Florida area. Take your pick as to the specific reasons, it could be related to work, travel, schools, family, location, or travel. Because of these benefits there are many businesses selling in the Orlando area that can get a premium when they sell. That is because there are only so many businesses for sale in the marketplace. You want to go with a business broker in Orlando that understands that market to make sure that a business opportunity in Orlando is priced correctly. You also want a broker that understands people prefer a business in a great location than an even greater business in a not-so-great location. That is why when selling a business in Orlando your best advantage is to find an Orlando-based business broker that can offer business buyers options, especially if you have a business that’s hard to categorize. You want an Orlando business broker that can explain to a business buyer what your business does, why it’s a great deal and why a business buyer should purchase it. A business broker that simply takes on as many listings as possible to claim they have more listings than anyone simply won’t do because they will not have the time to give the attention that your business requires to sell. Manufacturing Companies Located in Central Florida are extremely popular with Business Buyers. If you’re looking to sell your business and your business is located in the Greater Central Florida area, contact us at 407-478-4101.
brokers networking and selling businesses in Orange, Seminole, Osceola, Brevard, Marion, Lake, Volusia, and Polk Counties. Due Diligence Items That Business Buyers Want To See When Buying A Business in Orlando. As business brokers servicing the Orlando area we come across all kinds of record keeping habits when business owners are looking to sell. Fortunately businesses for sale in Central Florida are typically much more current in record keeping practices and have incorporated more technology into their operations. Occasionally when we speak with owners that are looking to sell businesses in the Orlando area we still encounter handwritten booklets with sales numbers but we do not encounter as many as we used to. In the Florida area, the process of due diligence in typically takes place after a purchase offer is accepted from a buyer. Business buyers take this time period to explore everything about the business. It’s a learning process as well as an inspection process. It’s a very common process when selling a business in Orlando or the Florida area. Business sellers should not look at the process as an issue of trust. Because it’s not always about trust. Sometimes there are legitimate mistakes in financials that buyers need to find and the sellers have no idea. Ultimately these discoveries benefit everyone involved. Often times business owners putting up their businesses for sale are told that potential business buyers will want to see their current profit and loss financials and their last three years of tax records. The reality is these are the documents buyers want to start out with and there are way more items buyers will ask to see. Often times these documents are asked for during due diligence but occasionally on a more complicated transaction when more evidence and information is needed they are requested before a purchase offer. These items including documents such as bank statements, state filing forms, point of sale records and often times a buyer’s accountant will ask to see a business seller’s whole Quick books file. To offer a little more detail on these documents, we will examine them a little closer and go over why buyers want to see them. Remember that when selling a business in the Orlando area business owners should expect that business buyers, their accountants and potentially their lenders will want to see the their company’s financial records. For example, requests for profit and loss statements typically do not end with just a current year profit and loss statement. Many buyers request profit and loss statements for each of the previous three years and will often ask for balance sheets to match up for those three years. Business buyers will also ask for current year bank statements and bank statements from the previous year and possibly the year before that. Business owners should not be alarmed as this is a very common practice. If business sellers do not keep a binder that stores each month’s bank statements they should prepare to fill out some request forms and possibly pay their bank to furnish them with monthly bank statement forms from beyond a year or 18 months prior because many banks do not grant their customers much more historical data than that online. Accountants and buyers use bank statements to match up the monthly earnings to the monthly bank statements. If the money showed being earned and being spent on the monthly profit and loss statements does not match what is being shown on the bank statements expect an email or a phone call. Point of Sale (POS) system reports and credit card statement reports are also huge items on due diligence lists for buyers especially if a business is a retail business or heavily dependent on customers paying by credit cards. Not only do buyers match up these numbers to those on the profit and loss statements and tax records it helps them establish fixed costs for the business. For example, what is the merchant rate the seller is currently paying and what POS system is the seller using, what are the maintenance fees and what are their payment fees if it’s not yet paid off. A number of government document financial forms are also requested by buyers. 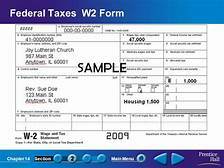 The major ones are 1099’s and W2’s, however many buyers ask for 941’s (quarterly tax filings) and DR-15’s which are sales tax filings in Florida. 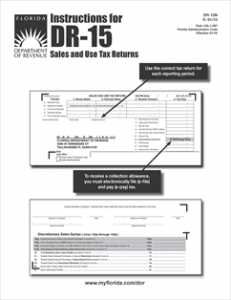 Business Buyers use these forms to back up the business owner’s reported earnings. Some times everything is reported correctly and sometimes there are mistakes, errors and on rare occasions there are some wrong doings found. Even closing attorneys have gotten in on the due diligence action and ask some businesses to obtain sales tax clearance from the state verifying that they have paid their sales tax up until that point and the buyer will not be incurring this tax. All of these documents help business buyers not only verify the performance of the business they are about to buy but it helps them understand the business better as well. Business owners looking to sell their businesses should not feel insulted or doubted because buyers ask for these documents. After all it’s nothing personal, it’s simply good business. It’s the same as asking for a receipt from someone when you make a purchase. If there’s a mix up that receipt can come in handy. Having all of these documents available while it may take a little extra work, it will make for a very happy business buyer. Why is that important? Because businesses that keep better and more organized financials sell for way more money, they sell quicker, and they help buyers qualify for bank financing which often also leads to higher purchase prices for businesses for sale in the Orlando and Central Florida area. https://www.crowneatlantic.com/wp-content/uploads/2018/12/Selling-A-Business-For-Sale-In-Orlando.jpg 3024 4032 Lee Ossin https://www.crowneatlantic.com/wp-content/uploads/2013/01/logo21.png Lee Ossin2018-12-18 14:25:342018-12-18 14:35:28Due Diligence Items That Business Buyers Want To See When Buying A Business in Orlando. When Is Best Time Of Year To Sell My Business In Orlando? As business brokers working in the Orlando area for close to two decades, business owners ask us when is the best time during the year to sell their business. It’s an excellent question. When should a business owner looking to sell put their business on the business for sale market? While there are some periods that are busier than others, the reality is that if a deal is good it could find an interested buyer at just about any time of year. In the past it was generally thought that the busy times of the year for the business brokerage industry in the Orlando area was January through March or January through May and then in the fall things would pick up in late September and October and November before Thanksgiving. Historically transactions and business brokerage interaction slow down during the summer months June through August or before school sessions start and after the Thanksgiving holiday to December. Things have changed however ever since people have better communications through email, phones and computers and are able to receive information whether they are. 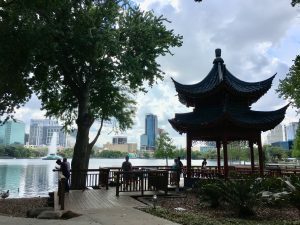 Whether people are on a vacation in China or they are taking a week off from work, they can receive information on businesses for sale in the Orlando area. Besides the Orlando area and the Central Florida area is located in warm climate where business for sale deals are transacted year-round. We never have cold hibernation periods so business deals and real estate deals occur year-round in Florida. The schematics of how a business is put together however still applies. 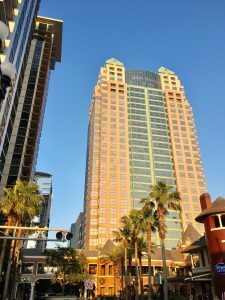 The business brokers at Crowne Atlantic can sell businesses in Orlando at any time of year, but business sellers have to be ready with their most up to date information in order to get the best price. Having all of the up to date information from the current year available and from previous years will help a business seller get an offer on a business during just about any time of year. Financial records help buyers understand businesses and add to their confidence in purchasing. The financial records that buyers ask for typically include tax records, profit and loss statements, and balance sheets. 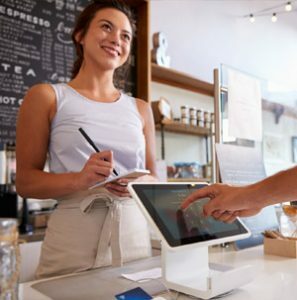 When a business owner has these financial records available it makes selling a business easier, quicker, and less dramatic because buyers feel much more comfortable that the business is a smooth-running system and they feel that running system of business will continue after the transaction occurs. Business buyers ultimately want to purchase good businesses. No matter what time of year it is in Orlando, business buyers are typically up for a transaction if the deal is right. Business sellers just have to make sure they have everything ready if they want a deal to go quick and smooth. If you or someone you know is looking to sell a business in the Orlando area at any time of year, have them call the Orlando Business Brokers at Crowne Atlantic at 407-478-4101 or check out our website at www.crowneatlantic.com. https://www.crowneatlantic.com/wp-content/uploads/2018/12/Orlando-Business-Brokers-When-to-sell-a-business-e1548533917207.jpg 3333 2500 Lee Ossin https://www.crowneatlantic.com/wp-content/uploads/2013/01/logo21.png Lee Ossin2018-12-10 11:24:192019-01-27 22:40:16When Is The Best Time Of Year To Sell My Business In Orlando? Using an Orlando Business Broker actually from Orlando gives you a huge strategic advantage. It’s the advantage of location. How many Orlando Business Brokers can say they were originally from Orlando? At Crowne Atlantic Business Brokers, our key partners are natives of Orlando. We know the layout and the history of the land better than other Orlando Business Brokers. This is a key element when choosing to sell your business in Orlando because very few business brokers can convey to buyers the history behind the specific areas they are buying in. Knowing the history and nuances of the Orlando and Central Florida market helps our Orlando business brokerage articulate the future of each area as well. 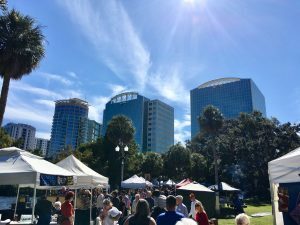 This becomes important when looking to sell businesses to buyers who are typically only familiar with a few areas of Orlando. How important is incorporating a business’s geographic location into marketing a business for sale? It’s critical! Contrary to what buyers might say, selling a business in Orlando is not just all about the numbers. Business buyers will use financials to help price a business, but those results alone will not get a company sold. Buyers may say things like, the business is too far from where I want to be or I do not like the area, but often times they are simply not familiar with the areas to begin with. Business brokers with the knowledge have to point out the benefits to buyers to make sure they have all of the information. Just the geographic location of being in Orlando is why many companies in Orlando sell verses similar businesses in other parts of the country. Pick an industry, any industry and it’s likely that companies will pick an Orlando-based company over most cities in the Midwest, West Coast or even the Northeast. There are only so many businesses to choose from however so if a business is for sale in a lesser known part of the Orlando area, the benefits of each area and along with the business need to be brought to a buyer’s attention otherwise buyers may glance over these advantages. 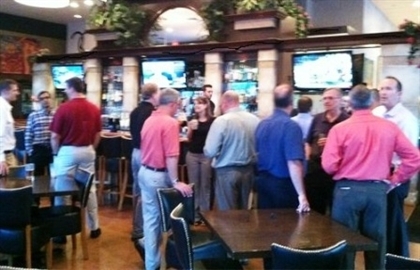 Business buyers like Orlando because it is a growing city with lots of opportunities. 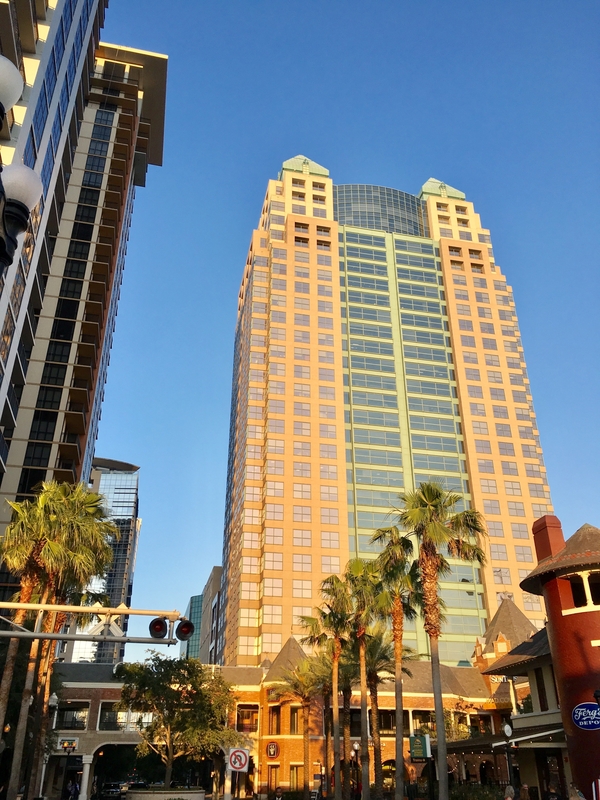 Unlike other cities that have a business climate that tends to keep newcomers out, Orlando has an extremely welcoming city climate that is friendly to new businesses and new business owners. We have a huge tourism industry, a tech industry, and a large service-based industry. As the premier Orlando Business Brokerage, we bring our knowledge to the table to help people sell their businesses in Orlando and the surrounding areas. If you want an Orlando Business Broker with the in-depth experience of business sales and business in Orlando call Crowne Atlantic Business Brokers at 407-478-4101. Good record keeping is important when looking to sell your in business in Orlando Florida for the highest price. 1) Keep good books and records; or you might pay for it by getting a lower price! Orlando attracts thousands of buyers each year. All Buyers want to see good books and records. Businesses that have solid books and records have a better chance of a buyer obtaining bank financing backed by the SBA. Yes, there are foreign buyers out there. They too want to see good books and records because if they are looking to obtain an investor’s visa: either L1, E2 or EB5. Those immigration attorneys and the U.S. Embassy will require your business’s records to process the investor’s visa. Most buyers will have accountants examining the business’s financial records. At the same time this information will help the incoming buyer understand their new business. *If you choose not to show all of the money, this will result in a lower purchase price and your business may not qualify for bank financing. That might lower the price even more. *Also, have current financials and tax returns available. And if you don’t, then get a new accountant. Your accountant works for you! 2) Orlando is almost always in SEASON! Yes, Orlando like many other cities has some seasonality, but far less seasonality that most tourist areas. Find ways to make your business sales more consistent throughout the year. However, there are always tourists and there are more and more people moving here every day. It is constant growth. For example, if you have a business that produces products caters to tourists in the tourist season, try to come up with offerings for potential local customers in the slower seasons. 3) Physical Appeal of Your Business. Do people feel good when they walk through the door? Just as you would clean up your house or your car if you put those up for sale, buyers want to see a clean business premises. 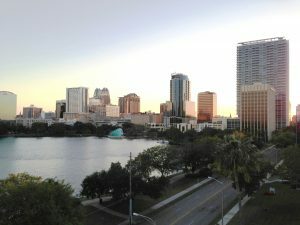 It doesn’t have to be fancy, but keep in mind that one of the appeals of buying a business in Orlando and the surrounding areas is that things are nice, new and upbeat. Buyers want to have the same feeling when they purchase a business. Sweep around, pick up large weeds in outdoor storage areas or parking areas, paint some walls and fix any torn seats cushions or tables that people use regularly. First impression can be everything. If there are two businesses side by side with the same earnings, buyers will opt for the more physically cleaner and organized business. 4) Orlando buyers are open to business purchase options, so any business has a chance to sell. Plenty of buyers purchase businesses that they have no prior experience in. It’s one of the reasons they buy the business and part of the reason they relocate or live in Orlando; they want something new. Still it always helps a business sale if buyers can be reassured that they will have the tools to manage and run the business they purchase effectively. This means that the more procedures and practices you can document and implement, the easier it will be for the new owner to follow and succeed. At the same time, having skilled employees that can assist the new owner is always a plus so any difficult task that can be hired out should be put into place. Business buyers will see that as one less thing that they will have to take care of. 5) Get Your Lease in Order. Landlords can be Deal Killers! Know your landlord and what requirements they will require for a new tenant that buys your business. Often times contacting the landlord is left as the final step in most business purchases, but realistically lease transfers should be discussed from the beginning. It varies from industry to industry but landlords can easily stop a deal from occurring if they do not deem the incoming buyer to be a qualified tenant. If you feel comfortable, discuss what requirements will be necessary before the business goes on the market. If you’re at the end of a lease, find out if a landlord will grant additional options for a person that buys your business. You might find out something horrifying such as the landlord having plans to demolish the building at the end of your lease, but it is definitely better to know that information up front rather than when it is too late. If you do not feel comfortable about contacting your landlord due to confidentiality reasons, review the lease or ask around to better understand the landlord’s protocol and requirements. 6) Leave Enough Time For The Business Sale To Occur. Some businesses can go under contract quickly in Orlando. For example, a well-priced manufacturing company for sale, with an owner benefit over $500,000 with good books and records and great earnings. However, most businesses in the Orlando area take approximately 7 to 12 months to sell. Even if a business seller gets a purchase contract within the first few weeks, it still might take three months for the sale to close especially if there is bank financing involved. The landlord management team can require several months for tenant approvals. If possible, plan for the sale in advance. When a business owner plans on relocating within a year’s time, they should probably think about putting their business on the market soon if they are trying to get the maximum dollar. 7) Use The Advantages of Being Located in Orlando To Help With Selling Your Business. One of the greatest things about selling businesses in Orlando is that it comes with strategic advantages that are important for business buyers. Orlando as a location offers a huge advantage because it provides business owners with easy access to multiple international airports, access to regularly occurring business convention shows, a friendly business climate both with the local and state government and with other business owners. Other advantages include great weather year-round, great places to live in addition to great schools plus being in a city with international recognition is a huge advantage. 8) The Orlando Area Continues to Grow With Constant Development and Population Increases. Orlando along with the rest of Florida is growing. In 2017, statistics showed that Florida was the 15th largest economy in the world. Orlando is right in the middle of that large economy with the largest airport and a road system that connects all large population centers together. Logistically Orlando is ideal. It also means that buyers can purchase businesses in Orlando that could grow organically fueled by population growth to no marketing. 9) Would You Buy Your Own Business For Full Price, All Cash? This is a very relevant question business owners should ask themselves before putting their business on the business for sale market. 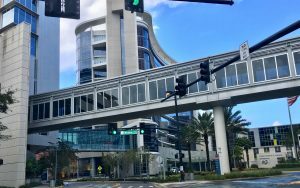 While Orlando attracts thousands of potential business buyers and some businesses in Orlando fetch a premium over these same businesses in other parts of the country, there are limits to what buyers will pay for a business. One way to prepare is to hire a Business Broker who has actual data to support an estimated value range and can explain what businesses are selling for in Orlando and across the state of Florida. Remember, each business for sale is in competition with other similarly priced businesses in different categories in the area. 10) Document your Systems in Place so that it truly is Turnkey! Spend the extra time to document your systems in place to operate your business. 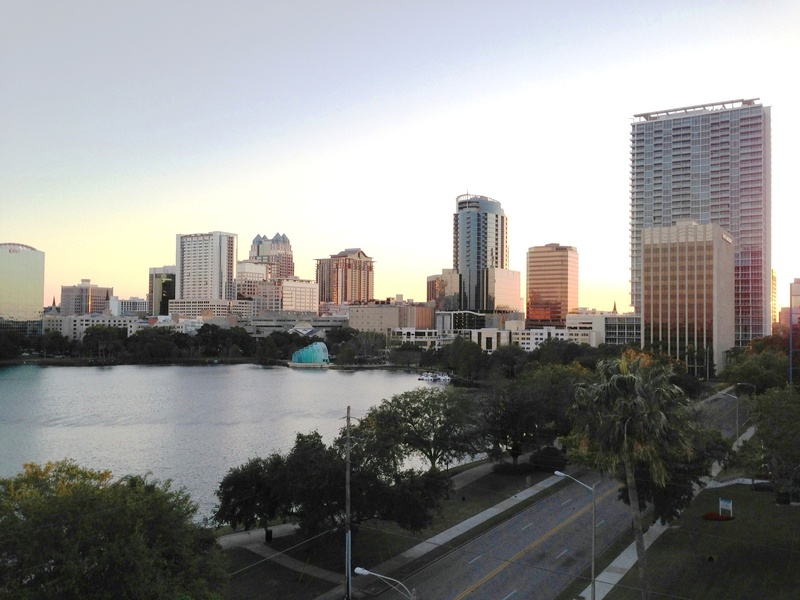 Orlando has a vibrant market that attracts a lot of business buyers. These business buyers however have high expectations and many times these expectations exceed how they operate their own businesses. Hire a consultant if you need to get more focused or organized. When a business is not prepared for a sale it could stay on the market infinitely going from Broker to Broker for years, which is not a great position to be in. Be prepared! Put your financial records in order. If six months of the year have already gone by, business buyers will expect to see current year records as well as tax records from the previous year. Buyers are curious as to what type of software sellers use as well as what kind of accounting, management and inventory systems they have in place. The more systems that are in place, the more attractive a business for sale in Orlando will be. If you would like more information on selling your business in Orlando or in the Central Florida region, call the Business Brokers at Crowne Atlantic serving the Greater Orlando area at 407-478-4101. 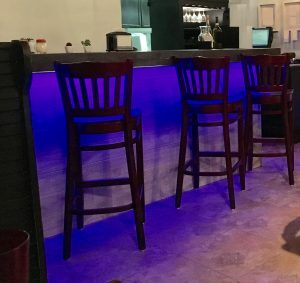 Asian Restaurant Cafe for sale in Orlando, Florida. Business sells popular Asian specialties, soups and sandwiches. The restaurant is located in an upscale spot of Orlando surrounded by both commercial and residential areas. Rent includes free water usage and A/C maintenance. Current owner does a massive lunch business but there is still room for growth as the business does very little marketing. For more information on this Asian restaurant cafe for sale in Orlando please call 407-375-9655. 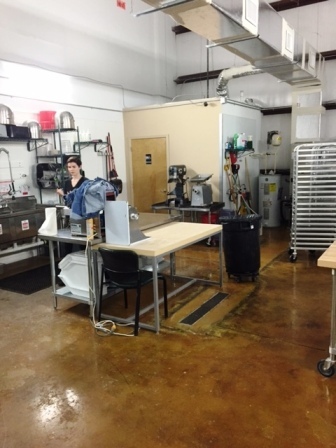 Facilities: Full kitchen with large hood system and over 70 seats. Competition: Very few Asian restaurants in the area so this one has a corner on the market. 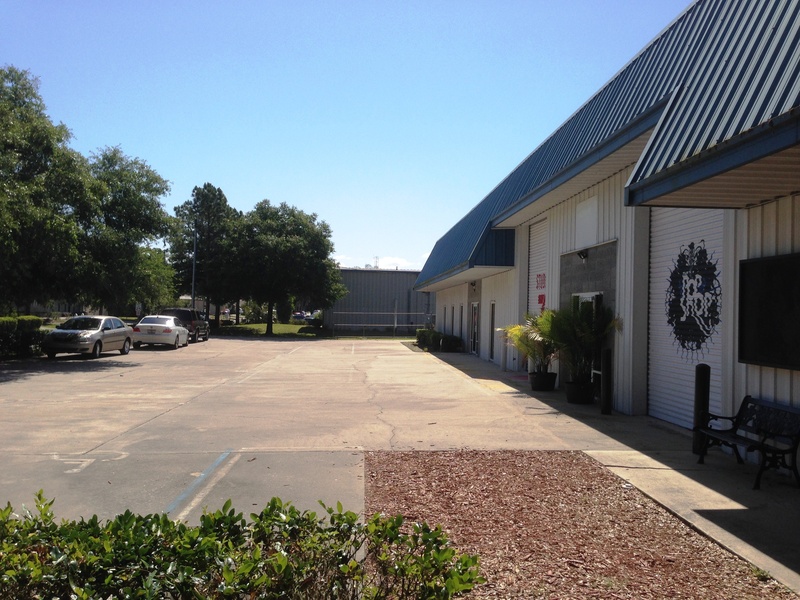 Growth & Expansion: Located in an established and upscale part of the Orlando area. Support & Training: Seller will make for a smooth and easy transition into the business. Reason for Selling: Discuss with seller. American Breakfast Lunch Restaurant for sale in Orlando. Restaurant opens just 6 days a week and closes by 3pm. Lots of repeat customers that live in the area flock to this restaurant several times a week. 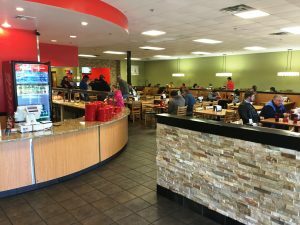 Business has a great breakfast menu featuring a whole list of specialty omelets and the restaurant also features a lunch menu with items like grilled sandwiches and fried chicken. Business is easy to run with minimal staff and minimal hours. The rent is inexpensive and the business has great books and records. For more information on this American Breakfast and Lunch Restaurant for sale in Orlando, Florida please call 407-478-4101. 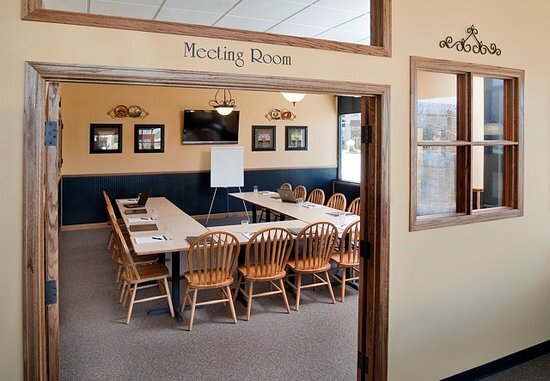 Facilities: Full kitchen, 65 seats, easy space to maintain plus inexpensive rent. Competition: Not too much competition in the area for diners currently. Growth & Expansion: Besides marketing and advertising to the local area, another way to expand the sales would be to open up for 7 days instead of 6 or increase the business hours and open for dinner. Financing: Owner may be willing to finance a portion of the sale for a qualified buyer. Reason for Selling: Seller’s Health is forcing them to retire. 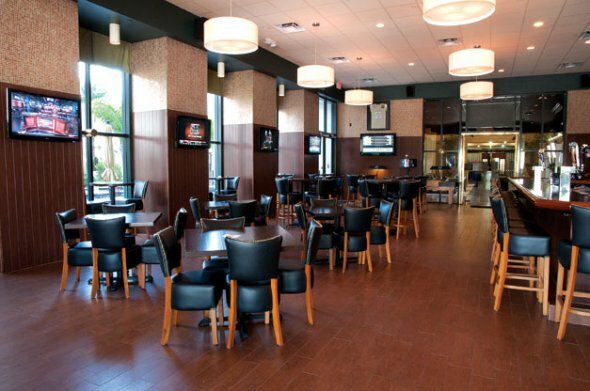 Crowne Atlantic Business Brokers recently sold an Orlando Sports Bar in the Downtown Orlando area. 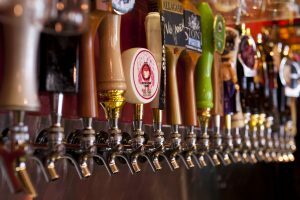 Business was an established operation where the owner has already relocated and wanted the bar to go to an owner who would operate the business hands on. 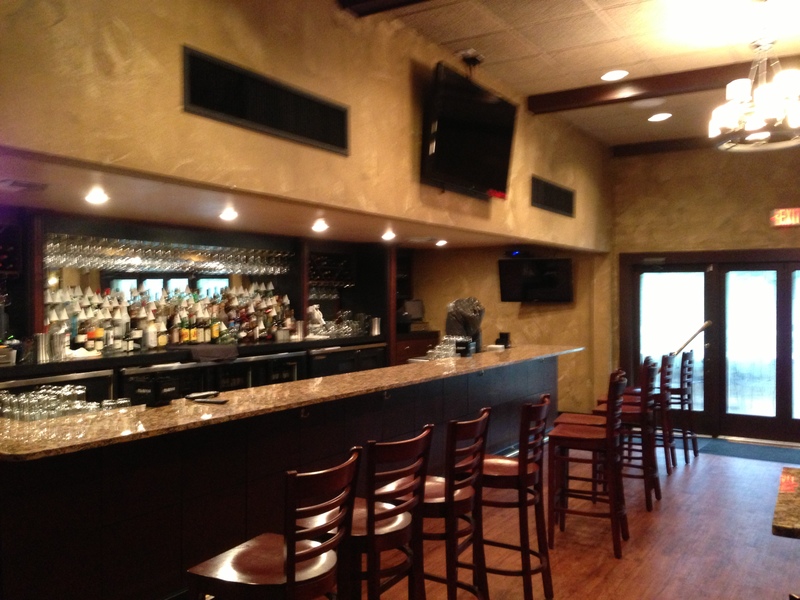 Business has 150 seats with a full kitchen and a 4COP SRX liquor license. As always the business was a confidential business sale. The seller got a great price because they put all of their financials on the books. The buyer got a great deal because they are buying the business as sales are increasing. If you or anyone you know wants to buy or sell a business, check out our website at www.crowneatlantic.com or phone us at 407-478-4101. Below are some great restaurant for sale opportunities in the Orlando and Central Florida area for the Summer of 2018. To help our business buying customers keep up with the business for sale market in the Orlando and Central Florida area for 2018, below is an example of some of the businesses for sale currently on the Orlando market. 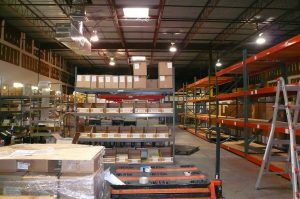 There are retail businesses, service businesses, and manufacturing type businesses for sale in the Central Florida and Orlando area. Check out some of the businesses below. If you are not able to find what you are looking for you can check out all of the businesses for sale on the business broker market at www.crowneatlantic.com or please feel free to call us at 407-478-4101. Convention services business that works to help companies set up showcases at conventions and other shows within the U.S. and outside of the U.S. Business has a lot of repeat customers and purchase price includes a large amount of processing, printing, 3-D printing and fabrication equipment. Business has a skilled staff in place where the owner mostly just oversees activity. Buyer will also receive a large hard to get database of potential customer contacts if buyer plans on expanding the business. Great opportunity to own a store at the Outlet Mall. The mall receives over 14 million visitors a year and they are buying up a storm! This business sells all kinds of electronics and accessories including cameras and unlocked phones. Pictured above: A leading Central Florida retail Furniture company, in business at the same location for 25 years. Being the only Signature Design Studio in the northern part of of Greater Orlando, they offer many unique and hard to find pieces that can only be found here. Separate buildings house the Main Showroom, Bedding, and high quality pre-owned furniture. Most major brands are offered, along with warranty services and full delivery and set-up is available. This is one of those indoor playground centers for kids. It’s a franchise and it is designed for kids under 8. It’s a great business for someone who likes kids but doesn’t want a daycare with all the licensing and restrictions. Pretty easy business to run as well. Kind of like running a gym. Specialty Step Van Resale Business for Sale in Orlando / Daytona Area. Fast growing business with unique online sales with repeat customers and referral sales. $250k of inventory plus equipment included. Tire dealer that offers a huge selection of tires with a focus on larger trucks and vehicles. Price includes $1.5 Million in inventory. Business sets up stages and production equipment for concerts, special events, corporate events, hotels for indoor and outdoor use. Exceptional long established Park Avenue Boutique. Loyal clientele who are repeat customers of fine clothing and accessories. Unique items which can’t be found anywhere else in the Central Florida area. Management and employees in place. This is a long term special needs care facility, established for 34 years. Licensed for 14 beds, but currently using 11. Purchase price includes the real estate. You can find more businesses for sale at www.crowneatlantic.com or please feel free to call us at 407-478-4101. Crowne Atlantic Business Brokers are specialists at selling Businesses in Orlando. We have sold hundreds and hundreds of businesses in the Orlando and Central Florida area. 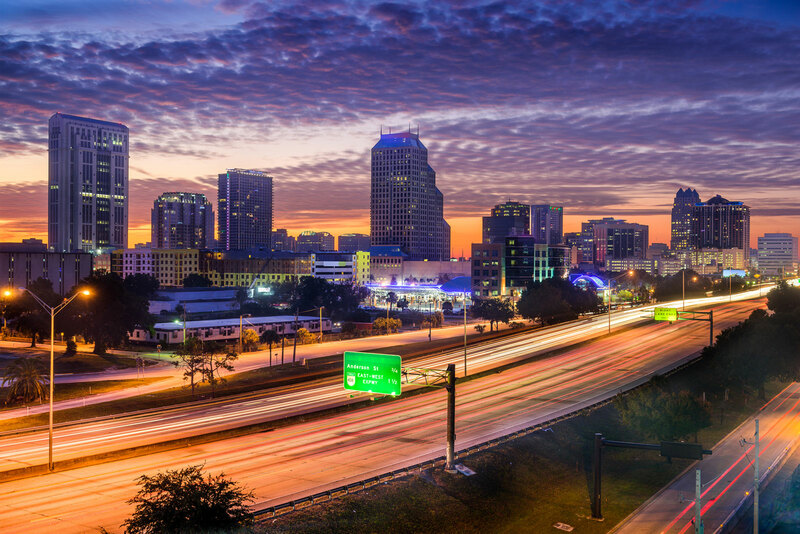 For our agents, many of whom are native to the area, Orlando is a natural place for buying and selling businesses. After all, Orlando and Central Florida is one of the fastest growing places in Florida and one of the fastest growing areas in the country. On top of that, the Orlando area is one of the biggest tourist destinations in the country and in the world. Visitors come from all over to experience our attractions, conventions, and our year-round warm weather. There are also a lot of residents in Central Florida that have made this area their permanent residence. They plan on retiring here. Some want to relocate here from out of state and even more people reside in the area but want to grow their earnings. To do this many people plan on buying a business. Crowne Atlantic has sold hundreds of businesses spread across Central Florida. We’ve sold businesses in Orlando, Tampa, Daytona Beach, Jacksonville, Ocala, and all the parts in between. We specialize in helping business sellers market to international buyers, out of state buyers and local buyers. In our industry, any of these business buyers could potentially offer a business seller the best price. It is our job at Crowne Atlantic Business Brokers to help business owners sell their business for the best possible price. To do this we work with business owners to show them multiple ways different buyers may choose to evaluate their businesses. There are some key elements to start out with that most buyers want to see when they evaluate businesses. A) Financial Records – Business buyers (no matter where they might be from) will ask business owners for their last 3 years financial statements. This may come in the format of 3 years tax records or 3 years profit and loss statements. Buyers prefer tax records, but any financial paperwork or information that helps business buyers understand the sales volumes, expenses and cash flows is helpful. B) Property Lease or Property Information – Business Buyers will want to see a copy of the business’s current lease for the premises or if the business comes with real estate they will want to see the schematics of the property where the business is located. When it comes to leases especially Buyers want to see what terms they will need to agree to and how long they can reside on the business premises. C) Equipment and asset lists – Business buyers want to see what kind of assets and equipment if any that they will be purchasing in the business transaction. It is also important for Buyers to learn if there is any additional equipment that they may need to purchase or if there is additional money required to update or replace any of the equipment or assets of the business. Naturally there are many more items that business buyers will request, however if you’re looking to sell your business in the Orlando and Central Florida area having these items available will strengthen the value of your business because these are the items that buyers look for when they shop for businesses to buy. If you’re looking to sell your business in the Orlando or Central Florida area, give us a call 407-478-4101. In 2017 there are a lot of internet-based businesses for sale. Back in 2009 there were a lot of online businesses but not like there are today. Below are some examples of internet based businesses on the Florida market. This is a cool concept where the business is doing bookings for photo booth rentals. Just imagine that just 10 years ago this business probably could not have existed and here this business is eight years old and profitable. On Line Business for the booking / rental of photo booths for special events with current operations in 17 locations nationwide. Work from home a few hours a week and bring in income. This auto supply business is less of a unique listing in that we have heard of people buying auto parts online for quite sometime, either through known retailers or online retailers like Amazon. Even before that however, we all knew of people that would buy auto parts on Craigslist or Ebay. This is a great concept though and auto parts are always in demand! Auto part supply business that has a great reputation in the industry. eBay store account, fully customized e-commerce website, and popular Facebook included. This business has all of the infrastructure, relationships, and processes in place for a new owner making it turn key ready. Very clean books and records. Should qualify for E2 Visa. Approximately 200k in inventory included in purchase price. Currently operates out of 4,800 square feet of space at a rent of $2,850 a month. Women’s apparel is also a stronger winner on the business side. Sometimes there are fewer buyers for women’s apparel businesses because men, especially if they are not fashion conscious rule themselves out as buyers without even looking into the business. They definitely shouldn’t do that. If the business is well-run like this one it could be possible for any skilled business person to run the business effectively. Successful internet retailer of niche women’s fashion apparel. Business needs attention to SEO and marketing in order to grow sales back to historical levels and beyond. The brand has a cult following. Long-time employees who are capable of running operations are present. Founder is unable to provide necessary resources due to personal situation. Below is a very different concept where the owner uses Instagram to help people advertise and market their products. It’s actually a cutting edge idea nowadays because 10 years ago no one would have even thought this could be a thing. Social Media Marketing opportunity using Instagram with over 6.3 million followers across 11 accounts. Marketing for Ads dealing with Health, Fitness, Supplements, Skin Care and some Beauty. Customers buy Ads as a package across all 11 accounts. Easy to operate from your Smart Phone. Home based business that enjoys long time Loyal Customers and is fun to operate. I’m sure you have seen supplement businesses advertised on TV and the internet. This is another supplement business. Keep in mind that many of these supplements are not manufactured in people’s basements. Many come from well-respected companies and these smaller companies re-brand and private label the supplements. So if you like supplements, this business could be a good fit for you. Extremely Profitable Branded Supplement Internet Business. Established since 2013 supplying its own brand of dietary supplements to a specialized niche & general market with worldwide distribution. Great profit margins. Owner benefit $370k in 2016. Perfect books & records. Tremendous growth opportunity. Relocatable anywhere in the US. No A/R. Easy to run. 3-year growth trend. All products contract manufacturing in the US. Lender pre-qualified. This is a strong looking business with the owner’s benefit income close to a million. People also love motorcycles. Motorcycles just like cars and pets have their own group of loyal followers. Motorcyle riders generally take care of their vehicles so selling them parts that can help keep everything together is always a great idea. Internet brand name motorcycle aftermarket parts retailer with high traffic E-Commerce store. Huge warehouse. Huge new inventory included! All parts from spark-plugs to rolling chassis and full custom bike kits, also selling metric cruiser parts. Long term, well trained staff/perfect vendors. Excellent opportunity to take over a 23-year-old successful tried and true well known business. 2 websites,5 eBay stores,2 Amazon stores and other online marketing. Fitness products always do well as an online business. This internet business for sale sells fitness gear and products mostly online. We love this online store for sale as they take an old school products and use the latest technology to sell them. People have been using beads in the apparel industry for centuries. These folks simply took their entire business online and no longer do retail. It’s more efficient that way and they have a much larger audience. 25yr old Wholesaler of beads and findings with over 10,000 products in inventory. 95% of sales are through online customers. Business has strong following with 3 websites coming with the business. Great financial records in quickbooks. These are confidential business sales so if you would like more information on these or other online stores and Internet businesses for sale on the Florida market, let us know. You can reach us at 407-478-4101. Pictured above! New York style pizzeria for sale in the Orlando area with seating for 54 patrons. Business is closed on the weekends and does no delivery. Have you heard of anyone getting away with that before in the pizza industry here? Me neither. Pretty amazing! If you add delivery and open on the weekends you will most likely grow the business instantly! 1,800 square feet and just $1,500 a month in rent. Very hard to beat that! Busy pizza shop, near Downtown Disney, Disney Parks, and Hotels. High delivery volume make this business something worth taking a look at. Get your investment back in less than 1 year! 1,750 square feet. (Rent includes both water and electricity so it’s a little higher at $5,300 a month……….you would be most likely paying it in utilities though anyways). Pizza/Italian Restaurant for sale in Clermont, just 25 minutes driving time from Windermere. 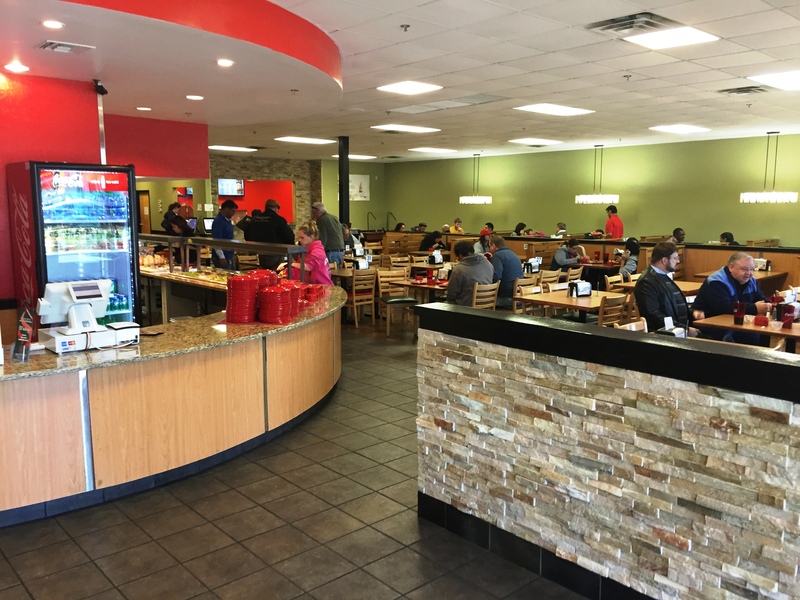 Extremely busy pizza shop, located in Clermont just 25 minutes away from Windermere. We mention that because we get a lot of phone calls from Windermere asking for businesses for sale in Windermere, but there are not many. This would be a good alternative. Most popular in the area. Known for high quality ingredients & great recipies. Great location in a fast growing area. This pizza place has it all! Low overhead, more than enough parking, equipment is in great shape, clean, and #’s increasing each year. This is a MUST SEE if you are interested in a pizza shop. Financials are kept on the books. Rent is just $2,474 a month and square footage is 1,400 square feet. Most new business owners hear the word “accountant” and they think “taxes”. But the truth of the matter is accountants do much more than prepare tax returns for business owners. They can provide incredibly valuable service at every stage of the business life cycle from the start-up and growth phases to advice on selling a business when that time comes. Here are our top 5 reasons every business owner should to hire a good accountant. You’re Buying a Business. Buying a business is a huge financial commitment. An accountant will be able to not only evaluate your own financial health and ability to purchase and run a business, but they will be able to evaluate the business’ finances too – before you sign on the dotted line. This is hugely important if you are buying an existing business. A professional accountant will be able to look deep into the financial records and let you know if anything looks wrong or worrisome. You will have a better idea of what you’re getting in to. Having an accountant also improves your chances for a business loan. The simple fact that you are serious enough about the business finances to hire a professional, will help you gain favor with the bank, not to mention the facts and figures the accountant can provide the lender when needed. An accountant can help you evaluate your loan options and choose the best one for your needs too. Complete and file the required legal documents for the business, even helping you choose the right legal structure for the business. Represent and advise you during an audit. Evaluate your income, expense and cash flow to help you maximize resources. Business Plan Development. Business plans are simple when you’re a sole proprietor, but operations get rapidly more complex once you start expanding your services, adding employees, or take on more clients. An accountant will be able to develop and evaluate financial projections to help guide your business decisions. You’re more likely to succeed when you base your decisions on hard data that has been professionally evaluated. Finance and Payroll. Did you know accountants can be hired to manage your finance and payroll functions? If this is not your area of expertise or you don’t have staff to handle the process for you, delegating this function will make your life immeasurably easier. Thanks to cloud-based software, you and your accountant can have access to the same files and data in real time and make financial decisions together, the same way you’d do with an internal payroll specialist. You’re Selling A Business. Just like when you bought your business, an accountant’s insights and analysis during a sale will only help you. An accountant will make sure your financial records are in order and produce the statements and documents requested by the buyer. Again, having professionally prepared documents like this will only work in your favor. Your business will be more attractive to buyers for having these documents in order. If you’re concerned about the cost of hiring an accountant, keep in mind that he or she does not have to be hired as a full-time employee. You can hire one on retainer or just for the services you need. This makes it much more affordable for small business owners to obtain the financial expertise they need to succeed. If you are getting ready to buy or sell a business in Florida, contact Crowne Atlantic Properties at 407-478-4101. Checklist For Listing A Business For Sale. Are You Ready To List? So you’ve made the decision to sell your business. You’re financially and emotionally ready for the change this will bring to your life. The market is good and you have a compelling reason to sell. Now what? Get the expert help you need. Selling a business is complex and can be even more so if you desire anonymity or want to keep the sale a secret from your employees and customers. It’s also time-consuming and there are many legal requirements to follow. This is where the services of professionals become invaluable. At a minimum, you’ll need a business broker, an accountant, and an attorney. These experts can help manage the process, handle negotiations on your behalf, provide advice on setting a sale price, determine a business valuation, and manage any profits you earn from the sale. Become comfortable talking about your reasons for selling. Expect to be asked why you are selling your business. Buyers will want to know if they are getting into a potential problem and what your motivations are for selling. Develop a list of attributes that will make the business attractive to buyers such as: steady or increasing sales figures, increasing profits, loyal customers, or growth potential. Be honest, but highlight the positives. Get your financial records in order. Hopefully, you and your accountant have been maintaining accurate financial records all along, but if you haven’t you must get them in order before you list the business for sale. Potential buyers will want to see financial statements, budgets, cash flow, accounts receivables and payables, recent tax returns, franchising fees, if applicable, and your current lease agreement. These are just a few of the financial records you’ll need to produce during a buyers’ due diligence period and are a prime example of why you need an accountant to help you with the sale. You should also prepare a list of equipment that is included with the sale and whether or not there are any lease, financing, or rental costs associated with it. Fix it up. Make sure the business is in good shape before you list it. Curb appeal applies to businesses just as much as it applies to houses. Fix or replace broken equipment, keep it clean and presentable at all times. Create an information packet. Buyers will appreciate this extra step. In your information packet you can include a brief letter, explaining your reasons for the sale, what you love about the business, what is a challenge, and what your hopes are for the sale. Include in the packet, a contact list of key employees, suppliers, and contractors. You should also include a copy of the business structure and any current operating manuals or employee handbooks. Don’t expect to wake up one day and decide today is the day you put your business up for sale. Listing a business for sale takes time, especially if you have to get records in order. It’s not unusual for business owners to need several months to a year or more to fully prepare for listing, particularly if they’ve been lax about record-keeping. Then, once the business is listed, expect to spend even more time waiting for the right buyer to come along and even more time finalizing the details and actually closing on the sale. Selling a business is extremely time-consuming and will take away from your day-to-day running of the business if you decide to sell it without help. The business brokers at Crowne Atlantic Properties will save you time, keep the sale confidential, reach the broadest market, and get the best offer in addition to providing advice and guidance throughout the listing, negotiation, and sale process. For more advice about listing a business in Florida, contact at 407-478-4101.
https://www.crowneatlantic.com/wp-content/uploads/2013/01/logo21.png 0 0 Lee Ossin https://www.crowneatlantic.com/wp-content/uploads/2013/01/logo21.png Lee Ossin2015-06-01 11:27:032015-06-01 11:27:19Checklist For Listing A Business For Sale. Are You Ready To List? Buying a business is stressful enough. The thought of adding negotiation to the process is enough to make some buyers run for the hills. But negotiation isn’t a bad thing, sometimes it is even expected, and it can get you a better business deal. Good negotiation skills are necessary to get the best deal when buying a business, but anything can be negotiated if it is of importance to you. The most common areas of negotiation when buying or selling a business come down to a few select points. Price. The sales price is the negotiation point that always jumps first to mind. This is definitely open for negotiation. You should examine the company with a fine-toothed comb before making an offer. Your offer should be fair, but also take into account any additional costs you may incur after the sale. One common cost is upgrading obsolete equipment. If you know you will have to do this, you can try to negotiate a lower sales price to help cover these additional costs. Financing. How will you pay for the business purchase? If you need financing, shop around for the best terms for your specific situation. Business loans are hard to come by so you may find yourself talking to private lenders. Always negotiate a loan that you can afford to pay and still make a profit on the business. You may even be able to negotiate with the seller to retain a financial stake in the company until you get on your feet. Contracts. Sales contracts are always open to negotiation. Under the advice of an attorney, you may want to change things as simple as the closing date to as complex as a non-compete clause. One important note: always negotiate these changes before you sign the contract. Inclusions and Assets. Do you want to keep certain equipment? Negotiate it into the sales contract. 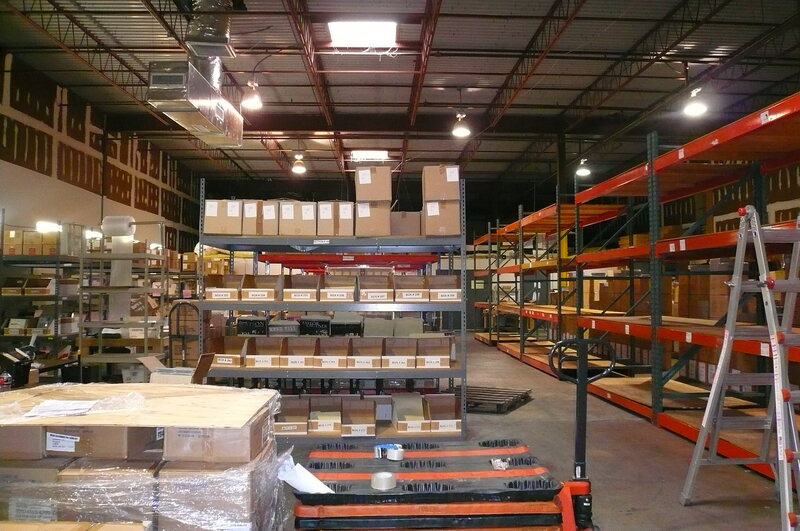 Equipment, storage space, vehicles, etc. may or may not be part of the deal. If you want it, ask for it. Likewise, if you want something gone, make that part of the deal. Staffing or Seller Assistance. Do you want the seller or certain key staff members to stay on to help you transition? Make sure you put that into a contract. Negotiate how long the seller/staff will remain to assist you and a salary or compensation for their time. If you loathe the idea of negotiating, ask your business broker to do it for you. A business broker will be incredibly helpful if you want to negotiate anything related to the sale. Not only will the broker be able to give you advice on what to negotiate or what to offer for the sale, they can do it on your behalf. That’s right. You don’t even have to be the one to face the seller and negotiate the terms. Your broker can do it for you. The business brokers at Crowne Atlantic Properties have worked with hundreds of Florida business buyers and sellers, negotiating terms that are favorable to all and make the sale happen. If you need help negotiating the purchase or sale of a business contact Crowne Atlantic Properties at 407-478-4101. Sometimes, business owners have no choice but to sell their business. Many times health, retirement, and relocation are big factors. Sometimes an owner’s circumstances change or there is some other compelling reason that makes selling the only option. In those cases, it’s not a matter of when to sell, but rather, how to get the most out of the sale. For others, the decision is not so clear-cut. Sometimes, it creeps up on you and you start to wonder how much the business is worth. At other times, you’re ready to try something new but not sure how to move on. Or maybe you’re starting to think about retirement. Even if the motivation is there, it can still be hard to make that final decision to stay or sell. Over the years, we’ve discovered three conditions that, when aligned, make it the right time to sell a business. 1. There is a reason to sell. 2. You are confident a sale can be made that meets your objectives. 3. You are emotionally ready to sell. If your situation meets all three of these criteria, now might be a good time to sell your business. Having a reason to sell might be just the motivation you need to start the process. If you’re not forced to sell, suitable reasons might be: personal, investment-related, or strategic. Personal reasons usually don’t have an economic or business-related reason to sell. They may be forced by a divorce or disagreement between the partners/owners, retirement, or even the feeling of being burnt-out can all be compelling enough reasons to sell. Investment related reasons to sell may be a need for cash, a need to minimize your area of risk, or you may see it as a good time to sell for a profit. Strategic reasons for selling a business may be a need to raise capital for other investments, pursuits, or expansion. You might sell it to gain access to a new technology or new customers. No one wants to attempt a sale if they don’t think they’ll be able to attain their objectives from it. Why spend the time and money needed to advertise and promote the sale if you have no confidence it will come to fruition? To ensure a sale, you’ll need to have realistic objectives, including a fair selling price. You will also need to make sure the current internal and external business environment is favorable to the sale of your business and that your business is ready to sustain the scrutiny a sale will create from buyers. Don’t underestimate the emotions that come with selling your business. There will be emotions one way or another and they can have a huge impact on your decision to accept or decline and offer. Emotions are much stronger in solo entrepreneurs than in owners who went in on the business as a partnership. Selling can affect your lifestyle, your identity, your finances, even your family life and social circles. In short, it will change your life. Come to terms with these issues before putting the business up for sale so you aren’t having second thoughts when there’s an offer on the table. If you’re thinking about selling your business and want to learn more about the process, get a business valuation, or list a business for sale in Florida, contact Crowne Atlantic Properties at 407-478-4101. Our business brokers would be happy to help you. https://www.crowneatlantic.com/wp-content/uploads/2013/01/logo21.png 0 0 Lee Ossin https://www.crowneatlantic.com/wp-content/uploads/2013/01/logo21.png Lee Ossin2015-05-18 08:51:152015-05-18 08:51:56When Is The Right Time To Sell A Business? When purchasing a business for “all cash” is not possible, sometimes there are other options buyers can consider. When you’ve found the perfect business it’s time to make an offer. Offers are typically structured with the buyer providing a certain amount down and financing the remainder. The remaining amount due is financed in one of three ways: by the seller, through a bank, or with help from personal resources. Obviously sellers prefer to get all cash at closing, but buyers can purchase a larger or more expensive business if they are willing and able to finance a portion of it. Low or no-money down offers are exceedingly rare. First of all, it’s very hard for the owner to make any income when they have high debt payments. Secondly, banks and lenders are reluctant to provide funds for a business that the buyer doesn’t show a vested financial interest in. A down payment will lower the amount of debt financed and make you a more attractive borrower in the eyes of the lender. Business owners have a few different ways of paying for their new business. Which one is right for you will depend on your financial situation, the sales price of the business, and how willing the seller is to work with you. Seller Financed. Seller financing is not as uncommon as you’d think. In addition to being the least expensive, it is also the easiest type of financing to obtain. Under this option, the buyer provides the seller with a percentage of the sale price upfront. The seller takes the remainder in the form of a promissory note, which the buyer pays back with interest. Interest rates are often lower than a bank’s rates, but the payback term can be shorter too. 3-5 years is typical. If you can find a seller who is willing to finance you, take that as a good sign that if you purchase the business and run into issues or need some short-term guidance that they will come back and help you. The sellers are interested in making sure the business is successful so that the Buyer can finish paying off their note. It means the seller has high confidence in the success of the business, even after he or she hands over the reins. Lender Financed. Lender financing, or debt financing, is a typical bank loan. You will provide some amount of money down and the bank or lending institution will finance the rest at a certain interest rate and for a certain period of time. Business loans are not like home loans, though, so don’t expect to find lenders willing to provide a long-term loan. The lender will want proof that the business is viable so you’ll need to provide an earnings history in addition to your down payment. Many bank loans are guaranteed by the Small Business Administration to encourage lending. Personal Financing. Another form of debt financing is to obtain loans from friends, family, acquaintances, or peer-to-peer lending networks. You would work out the terms of the loan (amount loaned, payback period, whether or not interest will be charged, etc.) on your own for each debt taken on. If you go this route, make sure you can uphold your end of the deal and that your financier can afford to loan you the money. That will ease any stress that may arise from personal financing. Other Options. There is always the option to cash in any retirement accounts or sell any equity shares you will have in the business as a way to finance it. Factoring companies are another option. These companies will upfront you cash for the amount of accounts receivables that are outstanding. You may not be able to do this to buy a business, but you can do it afterwards as a way to gain cash. Financing a business will be different for everyone. So much of it depends on the business for sale, the seller’s interests, and the buyer’s capabilities. For help finding the right business to buy in Florida, contact Crowne Atlantic Properties at 407-478-4101. We can help you with all steps of the business buying process from sourcing a business, negotiating the sale, and identifying finance options.